Nice weight & acidity, rich mouthfeel, good extraction - herbal flavors over fruits over the other nose flavors, with grapefruit leading a lengthy finish. Serious food wine for the money. A "tour of California" blending puzzle. Five lots of Sauvignon Blancs - some unoaked, some lightly oaked - plus five unoaked other-than-Sauvignon-Blanc components from eight regions. 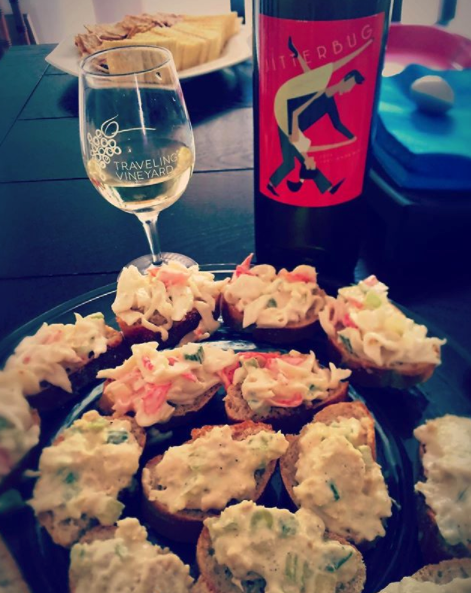 If Chardonnay is known as the girl next door, then Sauvignon Blanc is the white wine that’s here to party. 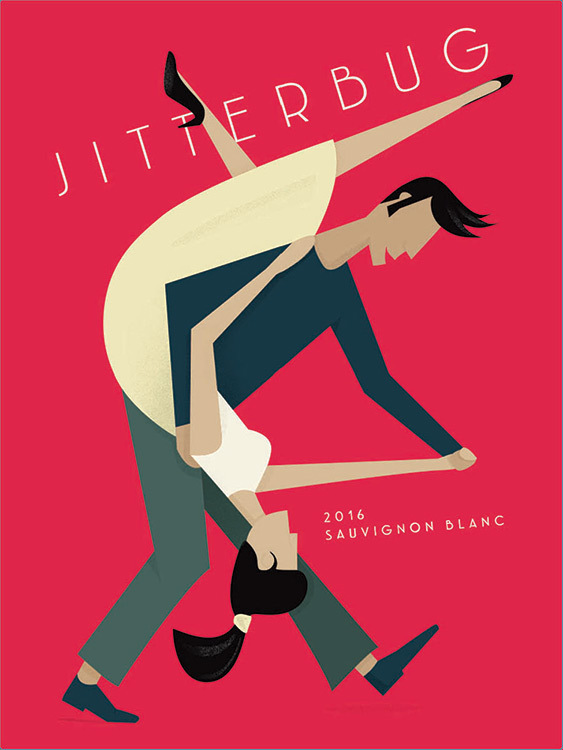 Our 2016 Jitterbug Sauvignon Blanc is a sophisticated and sultry white that pairs well with party plates like sashimi or herb-infused goat cheese with water crackers, instantly setting the scene for a swank soiree. Let’s dance, wine lovers! A very nice fruity -but -not -too -sweet wine. Lovely aroma. Great afternotes. Wonderful with cheeses, appetizers or light meal.